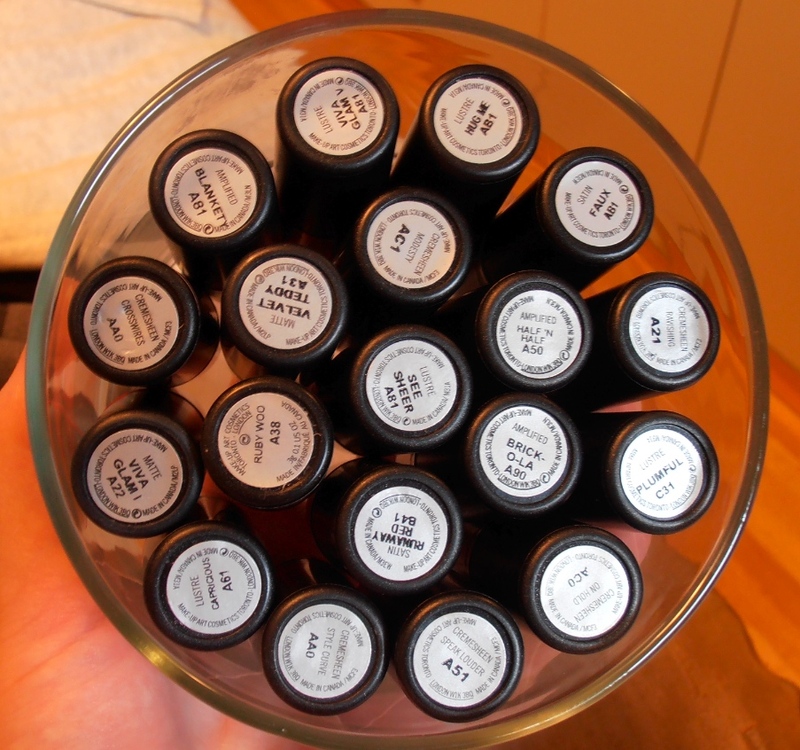 Today I thought I would share my MAC lipstick collection – mostly nudes and neutrals with a few pinks, corals and reds. I’ll list the colour descriptions found on the MAC website. I think MAC’s descriptions are hilarious. 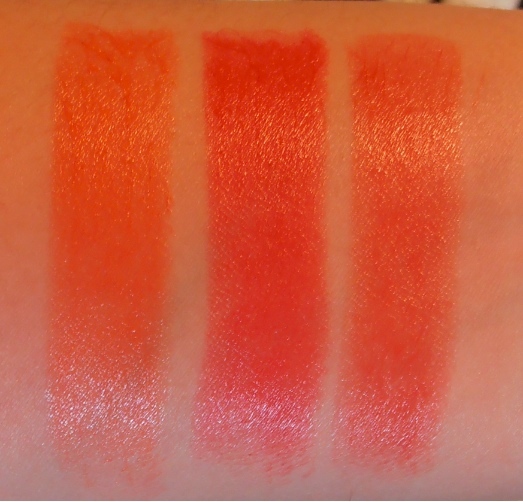 What’s the difference between “fanciful rose plum” and “blossoming rose plum”? 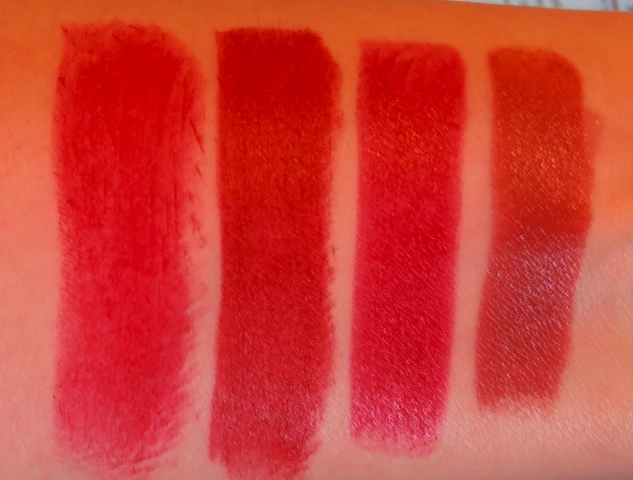 All of these lipsticks are permanent except for Style Curve (Stylishly Yours collection) and Runaway Red (though it has been re-promoted a few times). Any you like? Any you own? 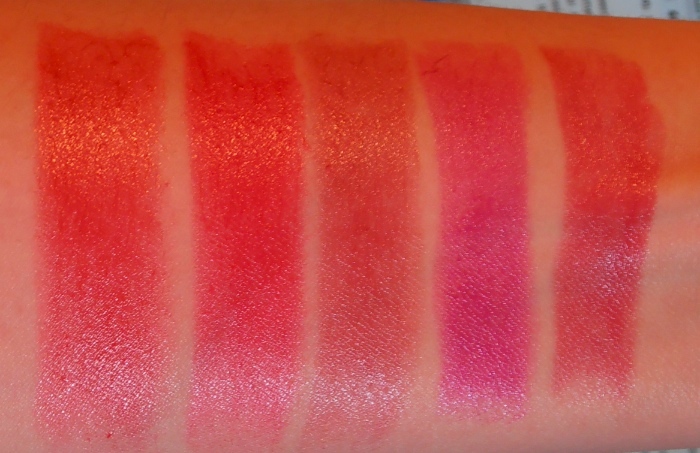 This entry was posted in Lips, Lipstick and tagged Beauty, blankety, brick-o-la, brickola, capricious, crosswires, faux, half n' half, hug me, lipstick, mac, makeup, modesty, on hold, plumful, ravishing, ruby woo, runaway red, see sheer, speak louder, style curve, velvet teddy, viva glam I, viva glam v.